Christina Dayries serves as the Asst. Deputy Director of Grants and Administration in the Governor's Office of Homeland Security and Emergency Preparedness (GOHSEP). She directs the agency's grants and administration activities for homeland security, recovery, finance, budget, purchasing, human resources, facility management and Federal grant compliance sections and is directly responsible for oversight and management of the agency's $1.3 billion annual budget. She previously served in a dual role as GOHSEP's Chief of Staff and Deputy Director of Grants and Administration assisting the Director in all aspects of the agency's preparedness, prevention, response, recovery and mitigation activities and served on the FEMA Region 6 Regional Advisory Committee on behalf of GOHSEP. In October 2016, Christina was recognized as an award recipient of the ABiz Magazine's 2016 Women Who Mean Business Award. Before becoming the chief of staff, Dayries previously served as the Deputy Director and Assistant Deputy Director of Management, Finance and Interoperability. Before moving to Management and Finance, Dayries held the section chief position of Communications and Interoperability. She was responsible for establishing the governance structure and policy for the Louisiana Wireless Information Network (LWIN). Dayries was instrumental and has been nationally recognized for establishing the Nation's first statewide digital 700 MHz radio systems in the aftermath of Katrina. Prior to joining GOHSEP in July 2008, Dayries worked as the executive management officer for the Louisiana State Police. Dayries was responsible for overseeing the agency's budget and administration of the State's homeland security grant program for first responders. Dayries was recognized by the U.S. Department of Homeland (DHS) for utilizing best practices in developing grant applications related to interoperable communications. Dayries began her emergency/risk management career with the Calcasieu Parish Police Jury as an emergency planner/claims adjuster and served in that capacity for 7 1/2 years. While working with the Police Jury, Dayries received training in emergency and risk management and held positions on multiple boards including Southwest Louisiana Mutual Aid Association, Local Emergency Planning Committee (LEPC) and Community Awareness and Emergency Response. She served on committees focusing on public awareness, steering and communications. Dayries was also a member of the Parish Hazmat Team. Dayries has been known as the "spark plug" for numerous emergency management initiatives throughout her career. 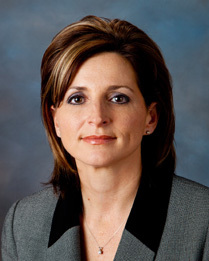 She attended McNeese State University (MSU) and the University of Louisiana at Lafayette (UL-L) for business management. She is originally from Abbeville and currently resides in Maurice with her husband John, daughter Caitlyn and son Charlie.